Bringing the extended family or just little ones? Cabanas are a great way to keep the family together for those long days at the pool. No need to go back to your room for lunch when you have a personal mini refrigerator stocked with waters and fruit. 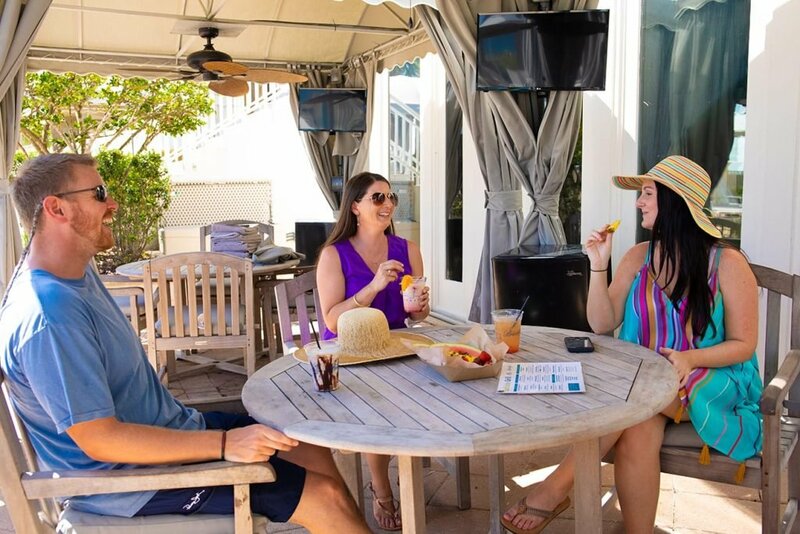 If that’s not enough, take advantage of the poolside service and have your food delivered directly to your cabana. Eat at your private table and chairs, and when the sun gets too hot, cool off under your ceiling fan and provide protection from the sun for those that burn easily. Don’t worry about securing a lounger in the summer when you have three padded loungers reserved just for you. Cabanas rent for $150 a day and as part of the Spectrum Experience, only our guests can reserve in advance and at a discounted rate of $135 per day.